FEMAP with NX Nastran Introductory to FEA training will offer the lectures and examples focusing on three important FEA features: modeling of FEA, performing of analysis solutions and results evaluation. Practical exercises will be given in purpose to learn how to develop FEA model, setup analysis and evaluate/understand results from FE analyses. FEA Update Seminar and Workshop is arranged in Finland at Lappeenranta University of Technology (LUT). 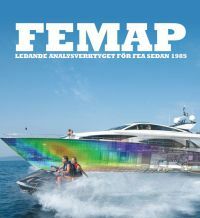 The seminar focus is to introduce and learn more about new features from the latest version of FEMAP. 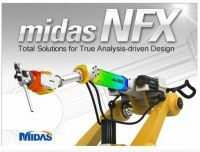 In the afternoon session the new software from MIDAS Family - midas NFX and midas MESHFREE will be presented together with practical application of the software. This FEA workshop focuses on strength verification analyses using FEA software. The training gives main guidelines for designers which like to verify 3D CAD geometries against future loads to assure design safety conditions. An introduction to basic applied mechanics will be given reinforced by practical simulation examples made by FEA software (midas NFX and/or midas MeshFREE). Registration and/or more information is available using info@femcomp.se The workshop agenda is as below.